Local female politicians spoke about the obstacles women face in a male-dominated field at a recent event hosted by the Del Mar Democrats. Speakers included Nueces County Judge Barbara Canales; Nancy Vera, president of the Corpus Christi American Federation of Teachers; and At-Large City Councilwoman Paulette Guajardo. Del Mar College Assistant Professor Erinn McComb moderated the March 21 event in the Retama Room. Canales said one of the biggest obstacles she dealt with being a woman in politics related to having children. While running for Senate, Canales says she received much criticism about not being fit for office because she was not at home raising her children. Canales, who is the first woman elected as Nueces County judge, says women don’t bring a better perspective to the political stage but one that is more unique. “We need to have the political courage to not only say that we want women but elect women to higher office, and it will be a better place when we do, for men and for women,” Canales said. 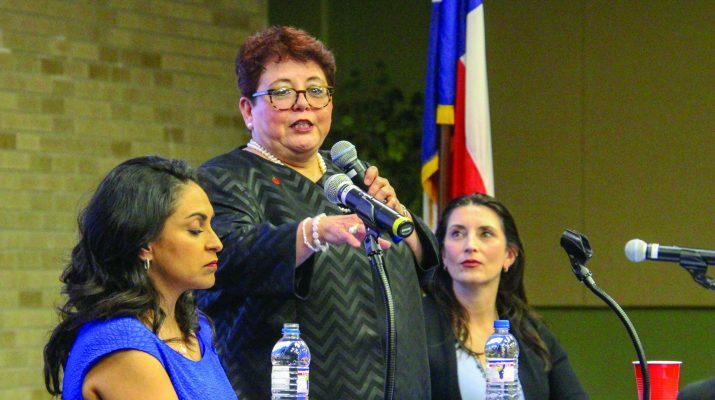 Guajardo, a former Allstate Insurance agent who made the transition toward politics because she wanted to make a change in her city, is the only woman on the City Council. “Politics is a man’s world, but for me, that makes me say, ‘Bring it on’,” Guajardo said. During every council meeting, Guajardo says she can’t help but feel like there is an obstacle standing in her way. However, she says she does not let that bring her down. “I decided to make this change in my life toward politics because I wanted to be the voice, a voice. 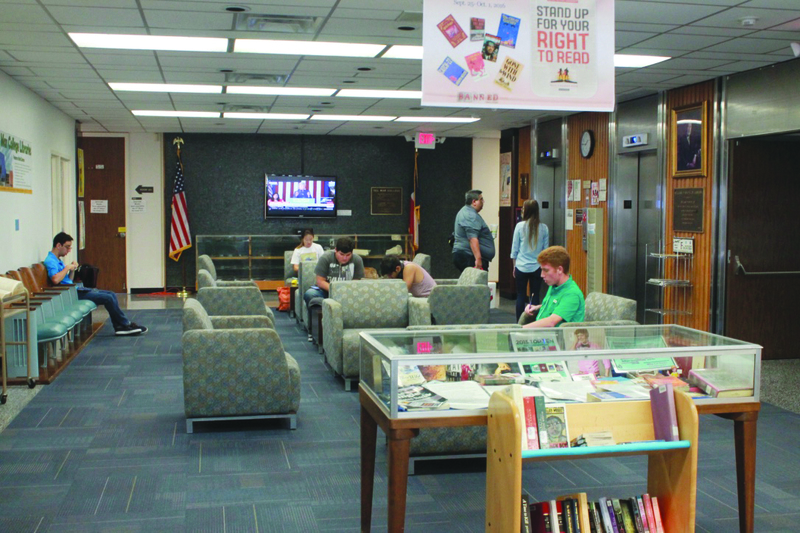 I wanted to be a part of making that change speaking for you,” Guajardo said. Issues confronting women of color were also discussed, with all three women being Latinas. Vera, the first Latina president of CCAFT, said one of the most difficult obstacles she faced as a Latina was not being taken seriously. She says while growing up she felt as if most of her suggestions were being dismissed. The panel ended the event by encouraging Del Mar students to become more involved in politics, despite the bad representation that politics has developed. Vera suggested that Del Mar students are already involved in politics.